As the readership here knows, I'm getting published in the upcoming Strangely Funny III humor-horror anthology (Kindle ebook version now available) and so I've been taking to interview the fellow submitting writers about various topics of humor, horror, and pie throwing. But today I'm offering up a more serious interview with a writer with a broad range of successful publications (also, Sarah Glenn thwacked me on the head and said "BEHAVE"). 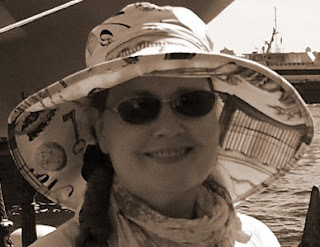 So here now is a Q&A with Rosalind Barden (you may have seen her work in the same anthologies I've been published like the first Strangely Funny, Mardi Gras Murder, and History And Mystery Oh My). Q. What would you like people to know about you? Q. When did you begin writing? Q. 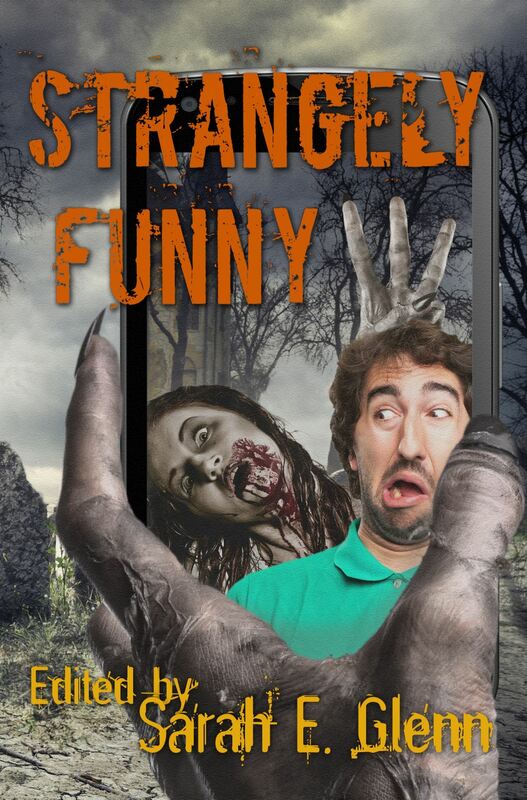 How did you get the idea for your story in Strangely Funny III? I wrote the first draft soon after I toured a 1920s Downtown Los Angeles movie palace. Movies used to be developed on silver nitrate film, and there was discussion during the tour about how dangerously flammable it is. Modern film stock is safer, but the depth and sparkle of the silver nitrate is lost. Because the surviving silver nitrate films are so dangerous, it is hard to find them screened. Of course, with this bit of information, my mind wandered and a wereman got involved. Q. Is there a genre you haven't written in, but would like to? I have an idea for a fantasy, but it'll have to wait until I have the time to write it. Q. Who are your current favorite authors? What do you enjoy about them? P.G. Wodehouse is my current and long-time favorite. I love his sense of fun. A short and a long mystery. Q. What is your favorite writing snack food/drink? Hazelnuts when I'm good. Chocolate when I'm less good. Both when I'm neither good nor bad. Over thirty of Rosalind Barden's short stories have appeared in print anthologies and webzines, including the U.K.'s acclaimed WHISPERS OF WICKEDNESS. 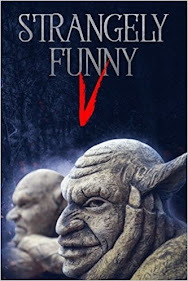 Mystery and Horror LLC has included her stories in their anthologies MARDI GRAS MURDER, STRANGELY FUNNY, STRANGELY FUNNY 2 1/2, and HISTORY AND MYSTERY OH MY!, winner of the Florida Authors and Publishers Association President's Book Award Silver Medal. Ellen Datlow selected her short story LION FRIEND as a Best Horror of the Year Honorable Mention after it appeared in CERN ZOO, a British Fantasy Society nominee for best anthology, part of DF Lewis' award winning NEMONYMOUS anthology series. TV MONSTER is her print children's book that she wrote and illustrated. Her satirical literary novel AMERICAN WITCH is available as an e-book. In addition, her scripts, novel manuscripts and short fiction have placed in numerous competitions, including the Writers Digest Screenplay Competition and the Shriekfast Film Festival. She lives in Los Angeles, California. Discover more at RosalindBarden.com.